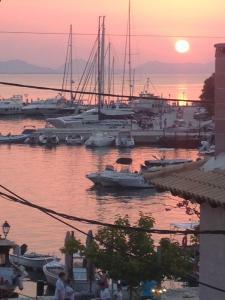 We were very pleased with our stay at the Apartments Vivrilis. 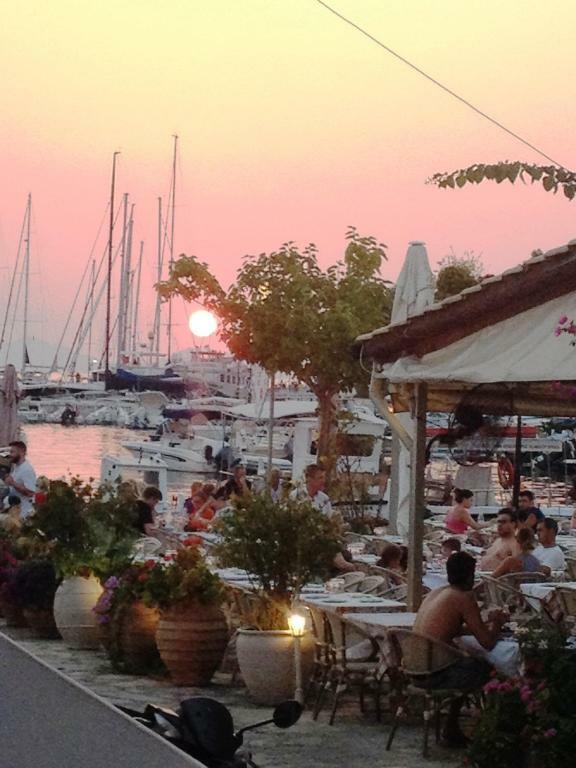 The apartment is 20 meters from the pier and restaurants/bars. The purity was high. The apartment can be cleaned at your request at any time. The parking is about fifty meters from the apartment. The beach to which you can walk peacefully is located about 200 meters from the apartment. For the remaining beaches we used a car. The host is very kind and responsive. The apartment was centrally located next to restaurants, bars and the small port with the boats to rent for daily excursions. There was car parking available close by. The room was cleaned daily (no change of towels in 3 days). Very friendly host, ready to help and explain everything we need to know about Syvota. Accomodation is 10 metres from promenade which was amazing. Everything was clean, sheets smelled nice, we felt like at home. We will definitely come again! Olga is a fantastic host. She greeted us and was there for any questions that we had, or if we needed anything, we just send Viber message and it's done. 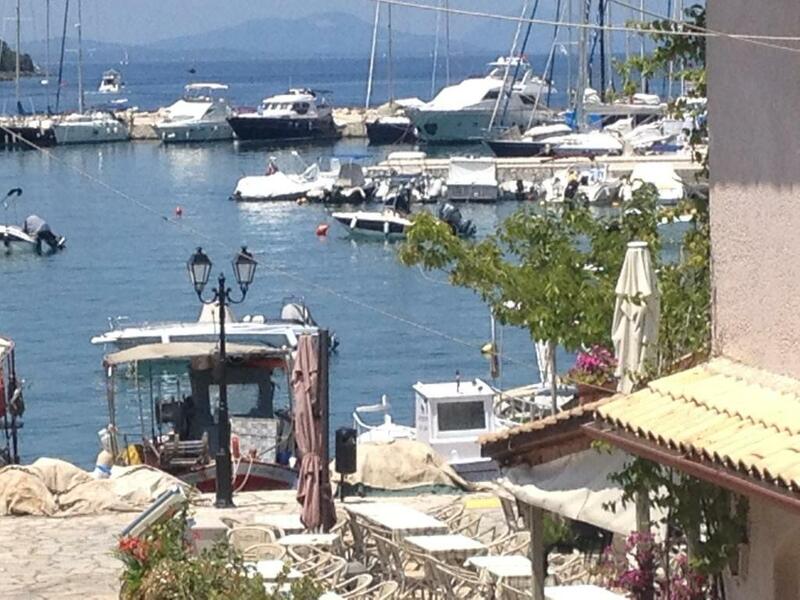 Location is 20m from the port, which is a beautiful place, very accessible. 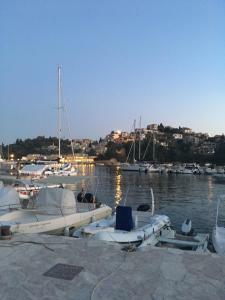 Sivota is one of the most beautiful places in Greece that we visited and we will come back for sure. 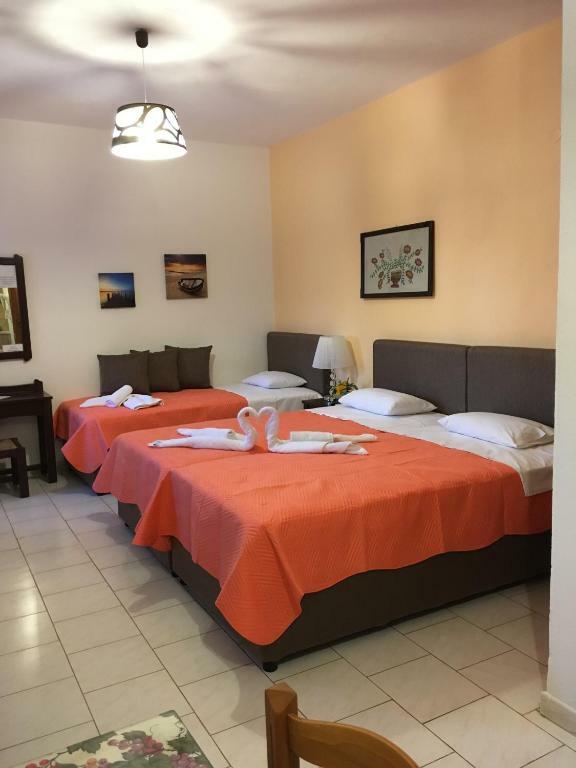 The rooms are centrally located and clean. The host provided us a parking place which was very nice. The room was very nice and comfortable. It had a wonderful balcony facing the sea and the port. We enjoyed very much staying on that balcony. The location was perfect! Lock in a great price for Virvilis Apartments – rated 8.7 by recent guests! Virvilis Apartments is centrally located in the scenic Syvota Port and within 650 feet from Gallikos Beach. 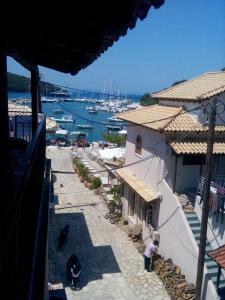 It offers self-catering accommodations with balcony or terrace, some with sea view. Parga is 12 mi away. The units are air conditioned and feature a flat-screen TV. There is also a kitchen, fitted with a refrigerator and stovetop. There is a private bathroom with a bath or shower in every unit. Towels are provided. 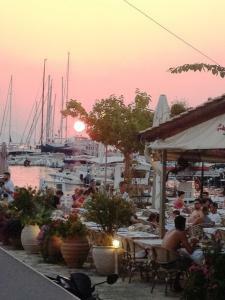 Guests will find cafes, restaurants and mini markets within a short walk from Virvilis. Within 1,000 feet you can reach the regional bus stop. Igoumenitsa is 13 mi from the property. When would you like to stay at Virvilis Apartments? This studio features a private entrance, kitchenware and kitchen. This studio has a balcony, view and kitchenware. This studio features a private entrance, view and air conditioning. This apartment features a oven, dining area and air conditioning. This apartment features a spacious terrace with sea view. The "Virvilis Apartments" is an elegant two-storey building, which has eight studio. 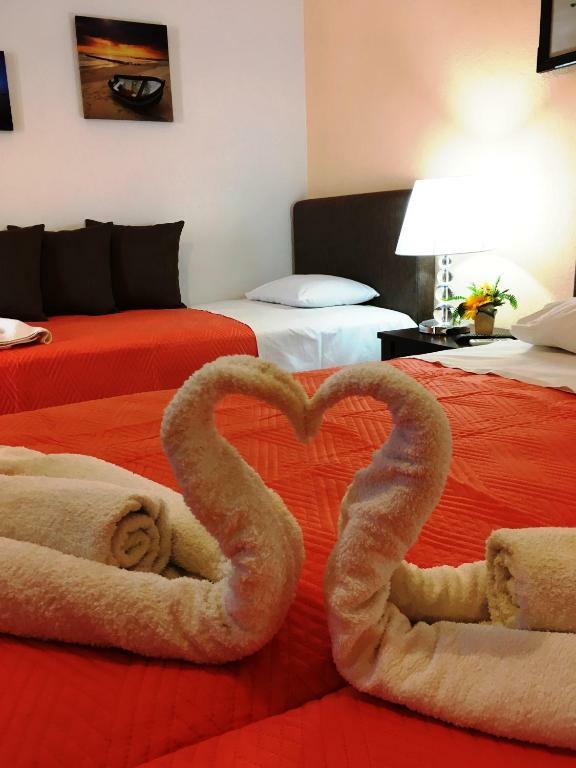 The spacious rooms, good aesthetics, the friendly atmosphere and fast service will impress you while the sea view of most of our rooms will give you unique calmness and relaxation. 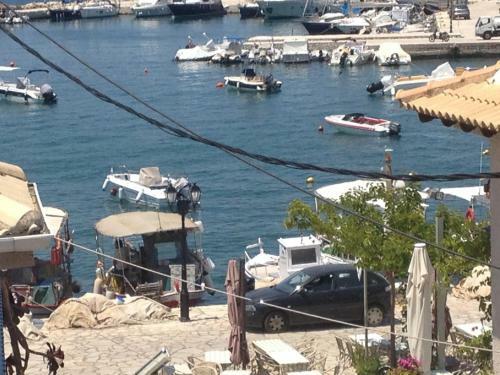 It is just 20 meters from the sea and 200 meters from the beautiful beach "FRENCH". I consider tourism and hospitality perfectly connected to my place and me this part. My aim is that visitors can enjoy the uniqueness of the landscape in the vast blue and turquoise waters with a memorable and relaxing stay. My hobbies are swimming and diving. 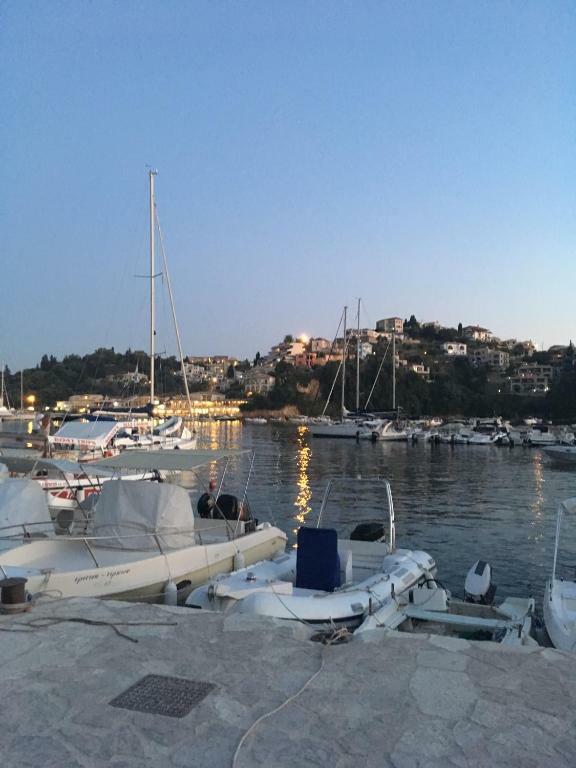 My neighborhood is the most interesting point of Sivota combining, uptown center katargontas use car, with access to the entire village, the main one in the picturesque Yacht Marina, with incredible beauty sunset. Every afternoon and until late at night gathers almost all the visitors who enjoy coffee, delicious food, snacks and drinks, a lot of stores are concentrated along this. House Rules Virvilis Apartments takes special requests – add in the next step! Virvilis Apartments accepts these cards and reserves the right to temporarily hold an amount prior to arrival. Please note that cleaning service is available daily, while change of bed linen is provided every 3 days. Please note that late checkout is available only upon approval and at extra charge. Please inform Virvilis Apartments of your expected arrival time in advance. You can use the Special Requests box when booking, or contact the property directly using the contact details in your confirmation. The booking.com apartment description was listing a balcony. There was no balcony for our room of 4 (traveling with 2 children), there was a small table and 2 chairs by the building stairs (outdoors), which was supposedly the balcony. We had to leave our towels and swimming suits to dry where they could be stolen (they didn't). The bathroom was tiny, the shower so small, there was no space to turn. The shower was not enclosed and as a result the whole bathroom was wet after showering (even though we were careful not to make it wet). Not enough light in the room. The whole situation spoiled our mood. The price is too high for what they offer. The room needs refurbishment, it seems outdated and smells humidity. The bathroom could need some work, it seemed old and needs a shower curtain. Also the check out was at 10am which is too early! i would have liked a better kitchen corner. We stayed at the Loft apartment and our kitchen was outside the room. Air condition was not fully functional. The bathroom is very old and not a pleasant thing to take a bath. The room smells humidity and the receptionist is never there. We forgot a jacket and we called them to let them know and they pretended that they havent found it. Location was excellent. The apartments were clean and comfortable. The host was pleasant and friendly. The added touch of the wine and drinks on arrival was a lovely extra. Excellent apartment with separate kitchenette. Sea view from balcony could watch the sun set. Very comfortable bed, clean sheets, towels, Location good. Would definitely recommend. Nice and central but quiet. Showers were difficult to use and kept flooding the bathroom. Very nice location. Kind host. Clean rooms.